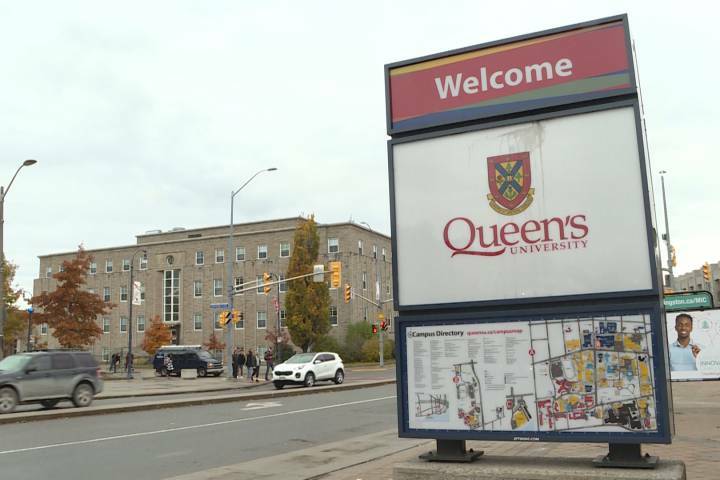 The topic of safety has come up on the Queen’s University campus in Kingston after a disturbing incident. Kingston police are searching for a man who allegedly committed an indecent act in front of a woman last Saturday night. The student government has increased its walk-home service. The Alma Mater Society runs the service and has done so for 30 years now. Matt Rowland, the head walk-home manager, says it’s there for whoever needs it. Kingston police said a woman was walking alone around 8:30 p.m. Saturday night in front of Adelaide Hall at the corner of Stuart Street and University Avenue when a man stopped his vehicle near the woman and asked her for directions. When the woman came up to the vehicle, police said she saw the man allegedly masturbating. Police also said when the woman walked away, the man in the car followed her and asked her to come back. “Kingston police are actively investigating this matter and hopefully, it will come to a resolution soon,” said Joel Keenleyside, Queen’s security operations manager. Keenleyside says despite the incident, university officials feel it is a safe place to be and hopes the university community feels the same. The suspect is described as a Caucasian male with an average build who looked to be in his 30s. He has a beard and was seen driving a small white car that looked to be new.